"You cannot help anyone, you can only serve; serve the children of the Lord, serve the Lord Himself, if you have the privilege. If the Lord grants that you can serve any of His children, blessed you are; do not think too much of yourselves. Blessed you are, that, that privilege was given to you, when others had it not. Do it only as a worship... The poor and the miserable are for our salvation, so that we may serve the Lord, coming in the shape of the diseased, coming in the shape of the lunatic, the leper and the sinner." To materialise this great ideal of service of God in man, this Ashrama is conducting an Orphanage and Tribal Hostel. 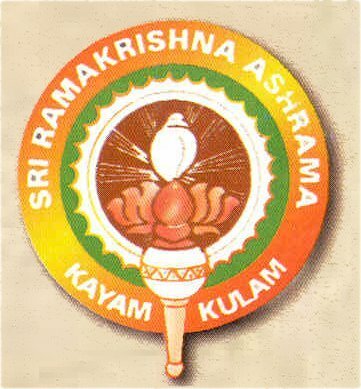 This Ashrama was started in the year 1927 by Srimat Swami Nirmalanandaji Maharaj, a direct disciple of Bhagavan Sri Ramakrishna. The Orphanage is named after him, to immortalise the great work done by him in Kerala, for the cause of the poor and the down-trodden. 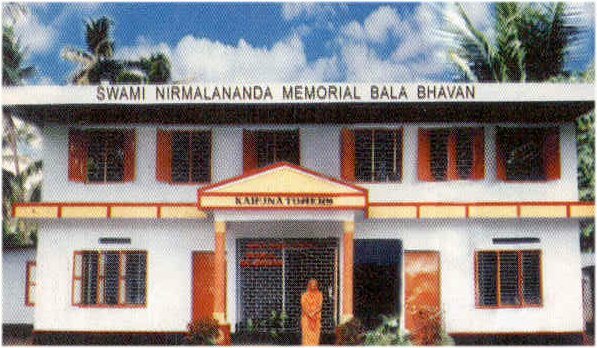 Swami Nirmalananda Memorial Bala Bhavan is an asylum for orphans and destitutes, where 95 boys are staying at present. They are sent to school and their entire expenses are met by the Ashrama, and its only source of income is donations from the generous public. Most of the inmates are tribals who hail from very remote underdeveloped areas in Kerala. We have plans to increase their number to 200, step by step, as there are so many applicants, seeking admission in the Bala Bhavan. Correspondingly, we have to provide them with the minimum facilities for their accommodation, food, clothes, study, medicines etc. A computer training center is also functioning in the Ashrama to equip the students in computer studies. We appeal to the generous and sympathetic public, Charitable Trusts, Industrialists and Businessmen to contribute liberally for successfully carrying out this service activity. Service is the noblest of virtues and if one is able to do it in a spirit of worship of the Divine, one can attain the highest goal in life. Donations may be sent to the President, Sri Ramakrishna Ashrama, Kayamkulam, Kerala, India-690502, by A/C payee Cheques/ Drafts. Donors can avail of Income Tax exemption for donations granted to this Ashrama, under 80(G) of the income tax rules of the Govt. of India ( C.No. 202/Tech/25/91-92 dated 31-10-95, Office of the Commissioner of Income Tax, Kowdiar, Thiruvananthapuram - 3, Kerala).